We’d love your help. 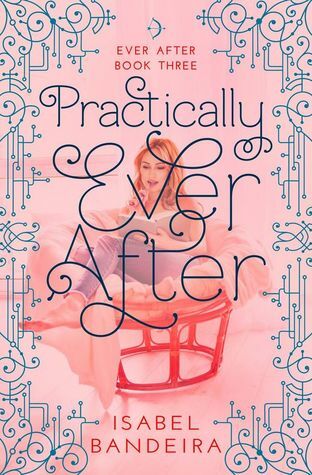 Let us know what’s wrong with this preview of Practically Ever After by Isabel Bandeira. Ever practical Grace Correa has planned the perfect life. She has Leia, the perfect girlfriend, amazing friends, is part of Pine Central’s glitterati, and has been accepted into her first-choice university guaranteeing one of the best paying jobs in the country. To Grace, life is an equation where everything can be perfectly calculated to ensure maximum success and the perf Ever practical Grace Correa has planned the perfect life. She has Leia, the perfect girlfriend, amazing friends, is part of Pine Central’s glitterati, and has been accepted into her first-choice university guaranteeing one of the best paying jobs in the country. To Grace, life is an equation where everything can be perfectly calculated to ensure maximum success and the perfect future. The problem is that life has a funny way of getting in the way of plans. With high school rushing to an end, Grace’s plans start falling apart. The “piece of cake” final design project is anything but easy, everyone seems to need everything from her, her schedule is a mess, and after a massive fight, all signs say that breaking up with Leia is the practical choice for both of them. Especially since long distance college relationships never seem to last. Except…Grace starts to wonder for the first time in her life if she messed up her calculations. To ask other readers questions about Practically Ever After, please sign up. Am I the only person who is dying to read this book? In her free time between wr Isabel Bandeira grew up surrounded by trees and lakes in Southern New Jersey, right on the edge of the Pine Barrens. Her summers were always spent in Portugal, where the cathedrals, castles, and ancient tombs only fed her fairy tale obsession. Between all those influences and her serious glitter addiction, it wasn’t a surprise when she started writing stories of her own.